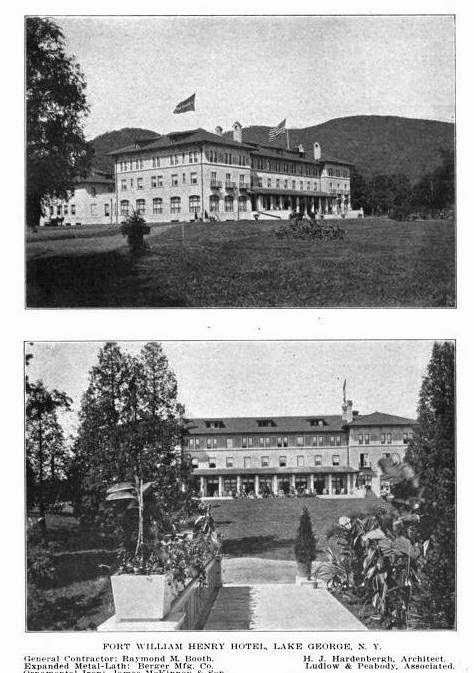 The Fort William Henry Hotel designed by Henry J. Hardenbergh c. 1911 in Lake George, New York. The first incarnation of the hotel opened in 1855 but was completely destroyed by fire in the summer of 1909. 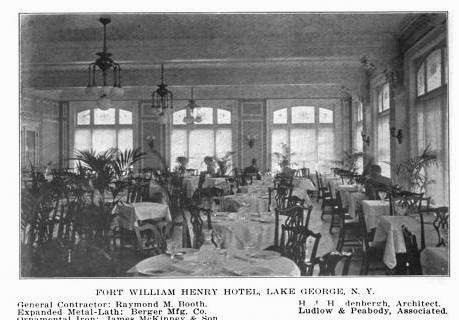 Click HERE for more on the Fort William Henry Hotel and HERE to see photos of the original building. Click HERE to see the hotel on bing. 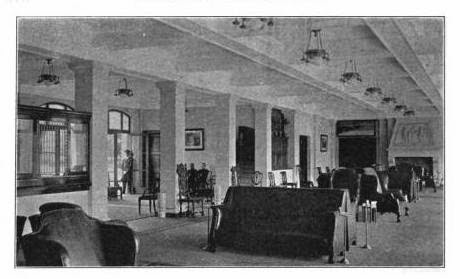 Photos from Architects' & Builders' Magazine, 1911. The new incarnation has none of the charm of the original.